Retention Manager Consultants Edition augments the management and development tools in Retention Manager Professional with functionality to develop and manage retention schedules for multiple third party clients. The Consultants Edition is available in standalone or network versions. The Consultants Edition enables consultants and retention professionals to create individual client schedules with named reports. All installed clients draw from the shared add-on modules and industry-specific templates for Retention Manager. This module is the leading database of state-level legal research on Insurance regulations to supplement the default database. This module supplements the default federal and state legal research database with applicable retention laws and citations from more than 100 countries. List available upon request. 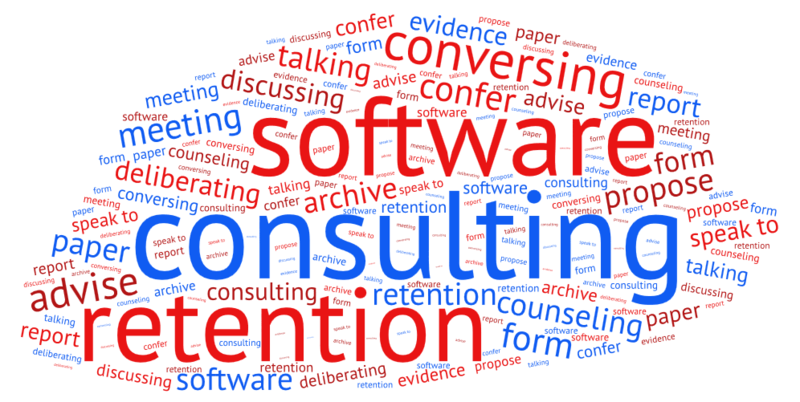 Please contact us for a demonstration and discuss how Retention Manager Consultants Edition can contribute to the success of your retention consulting practice or service.